I put together my three creepy books into one trilogy. 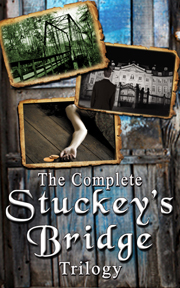 Release date is October 1, 2014, but you can pre-order at Amazon if you CLICK HERE!! Legend has it, he was so evil, he was even thrown out of the notorious Dalton Gang. Years later, he opened an inn near the river, and on foggy nights, boatmen witnessed him pacing back and forth across the bridge, waving his lantern, offering travelers a hot meal and a soft bed. Those unfortunate enough to take him up on the hospitality were often never seen again. In 1901, the Virginia Bridge and Iron Company began rebuilding a fifty-year-old Mississippi Bridge. 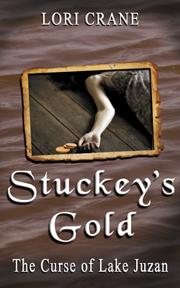 In the middle of the project, they began discovering bodies buried on the banks of the river. 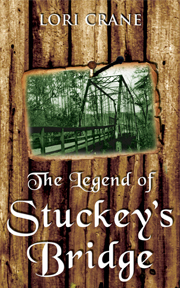 Would Old Man Stuckey get away with murder? 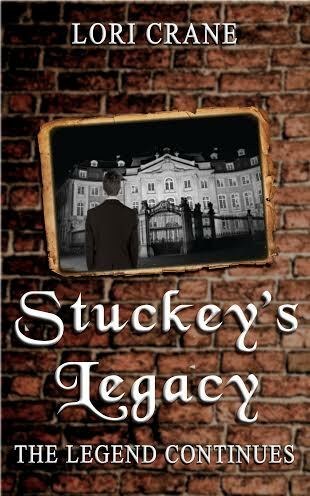 The end of Stuckey’s story left only a legacy – one of murder, treachery, and an intense game of cat and mouse. 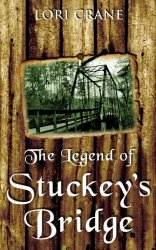 Young Levi left Mississippi with a wealth of gold, but he found his time in the world of the social elite ending quite differently than it had begun. Was she only after his money? Occasionally, it seemed to him Penny Juzan only wanted him dead. Or maybe it was the other way around. With the gold finally in the hands of the Juzan family, will Penelope Juzan break the seventy-year-old curse, or will she suffer the same tragic fate as her forefathers? In the final installment of the trilogy, we may find the victims in the original tales were merely bit players in a story that is far darker and more sinister than one could imagine.